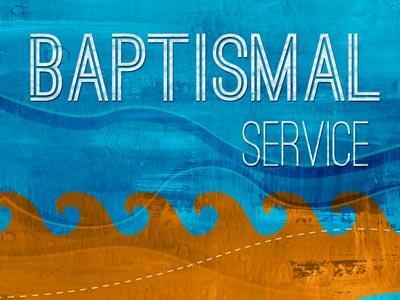 Summary: Water baptism does not save you, but every believer should be baptized, because Jesus, Himself, commanded it. He said, “Therefore go and make disciples of all nations, baptizing them in the name of the Father, and of the Son and of the Holy Spirit. Water baptism does not save you, but every believer should be baptized, because Jesus, Himself, commanded it. He said, “Therefore go and make disciples of all nations, baptizing them in the name of the Father, and of the Son and of the Holy Spirit. 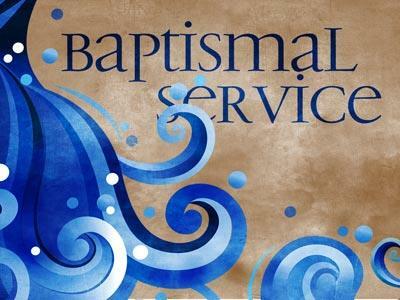 (Matthew 28:19) It was so important to Jesus that He went to John the Baptist to be baptized by him in the Jordan River. 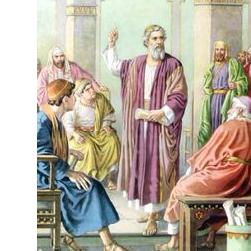 All four of the Gospels tell about His baptism. It didn’t just happen. Jesus sought out John and traveled a good distance for no other purpose than to be baptized. So why did Jesus want to be baptized? Well, let's go a little further. Why was Jesus baptized? There were several reasons, but Jesus in His reply to John gave the best one, “It is proper for us to do this to fulfill all righteousness.” He was identifying Himself with sinful mankind, “…..Because he poured out his life unto death, and was numbered with the transgressors.” (Isaiah 53:12) He was not baptized to give us an example to follow. He did not need to repent. He was holy, harmless, undefiled and separate from sinners. He was baptized to completely identify Himself with mankind. There is a third reason for Jesus’ baptism. Now I am going to shock some of you, so be patient with me. We are saved by baptism. 1 Peter 3:21 says, “And this water symbolizes baptism that now saves you also-not the removal of dirt from the body but the pledge of a good conscience toward God. It saves you by the resurrection of Jesus Christ.” Now Peter and I are both in trouble. Let me give a little more explanation. Our sin is put on Him, not in Him. There is an important distinction. Being identified with Him saves you and me. He identified Himself with us in baptism. To be saved is to be in Christ, and how do we get in Christ-by the baptism of the Holy Spirit. We must recognize that we have to be identified with Christ, and that is accomplished by the Holy Spirit. Our water baptism is a testimony to this. Now let me back up a step. We are saved by faith in Jesus Christ, but at that moment the Holy Spirit baptizes us into the body of Christ. 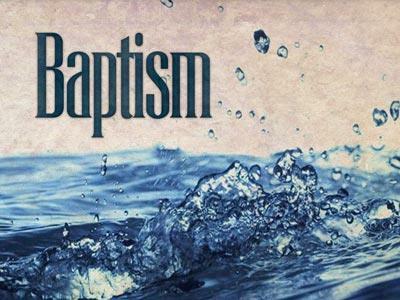 There are a lot of arguments going on today concerning baptism; such as what is the proper mode and what is its relevance. I don’t want to get involved in an argument, so I will just make my opinions known and leave the arguing to the theologians. Here is a manifestation of the Trinity. The Holy Spirit rests upon Him and the Father speaks from heaven. The Lord Jesus is now identified with His people through baptism and God the Father and the Holy Spirit give Him their stamp of approval. What a wonderful Savior and King He is! Jesus not only came from Nazareth, but He also came from heaven, where He shared glory with God. His baptism once again showed His humility and obedience to His Father. His first coming was wonderful, because He came to save. But when He comes the second time it will not be to save, but to judge the world and to establish His kingdom. Water baptism does not save you, but every believer should be baptized, because Jesus, Himself, commanded it. He said, “Therefore go and make disciples of all nations, baptizing them in the name of the Father, and of the Son and of the Holy Spirit.